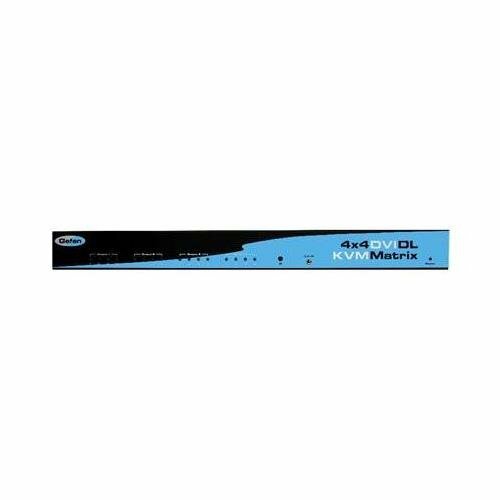 Easily switch four cross-platform DVI Dual Link computers to four DVI Dual Link displays with our 4x4 Dual Link DVI KVM Matrix. The Dual Link Matrix provides a simple, reliable and highly effective method of creating multiple computer workstations, with each workstation capable of accessing any one of the computers or sources at any time by remote control. Four stations can be set up locally or extended with a Gefen extender. When used with computers, USB and Audio matrix control signals follow the DVI Dual Link input for organized signal routing. Tripp Lite 7-Port Rugged Industrial Usb 2.0 Hi-Speed Hub - W 15Kv Esd Immunity And Metal Case, Mountable "Product Category: I/O & Storage Controllers/Usb/Firewire Adapters"